Remember how we hated being forced to watch slide shows of our friends’ and relatives’ vacations? But then we were generally a captive audience — if only because we were too polite to say rude things about their photos or claim that we left the stove on at home with a cauldron full of kittens on the burner. This is a 21st century version of the vacation slide show. Don’t feel obligated to watch. If you’ve got a pot full of kittens sitting on the stove, I understand. Here then, in chronological order, are photos omitted or deleted from previous posts on my recent Grand River canoe trip. 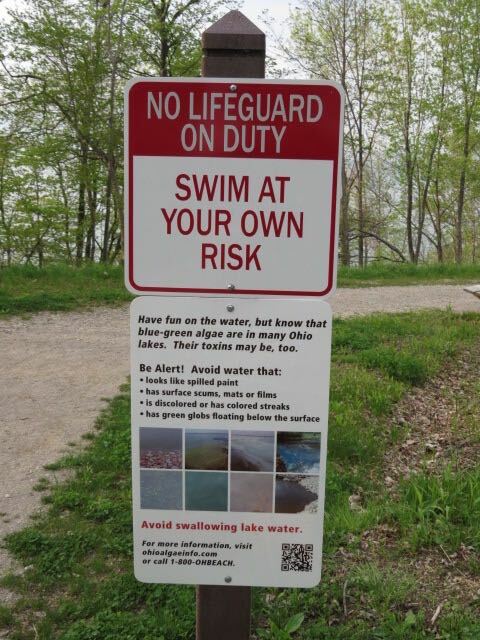 Base camp at Lake Erie Bluffs — before NOAA issued the tornado watch. 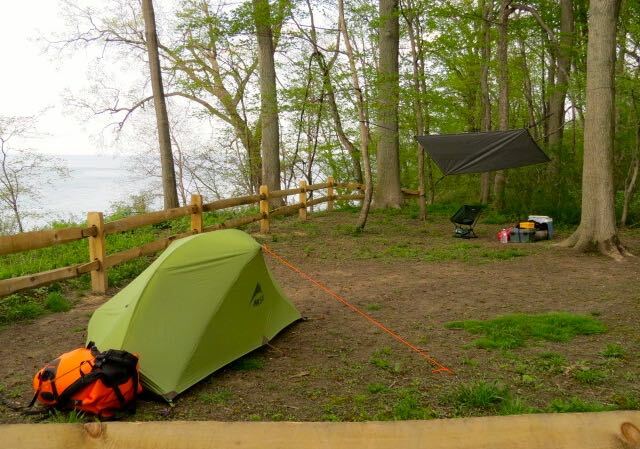 Another view of the Lake Erie Bluffs campsite. 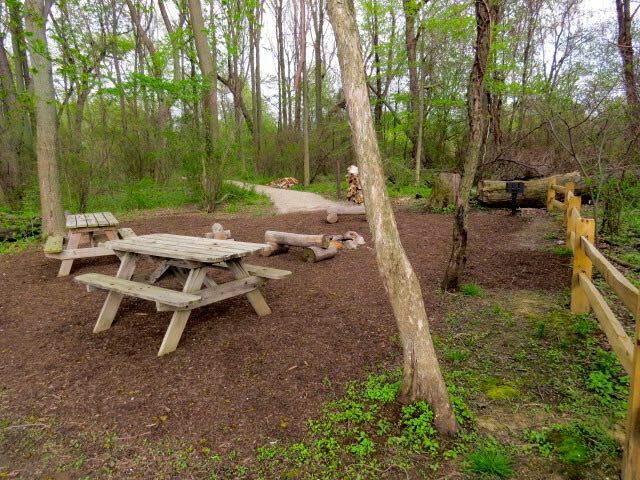 Talk about deluxe accommodations — fire pit, grill, benches, two picnic tables and a stack of firewood. The welcoming committee at Grand River Canoe Livery. Always a fun and interesting place to visit. 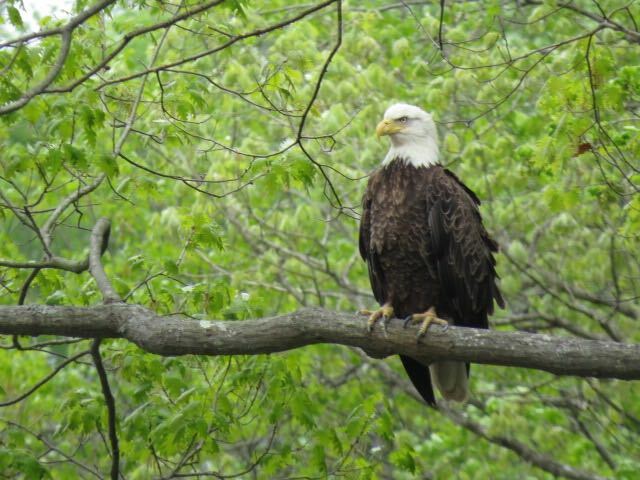 No shortage of bald eagles on the Grand River. It’s not unusual to see a half-dozen clustered together. 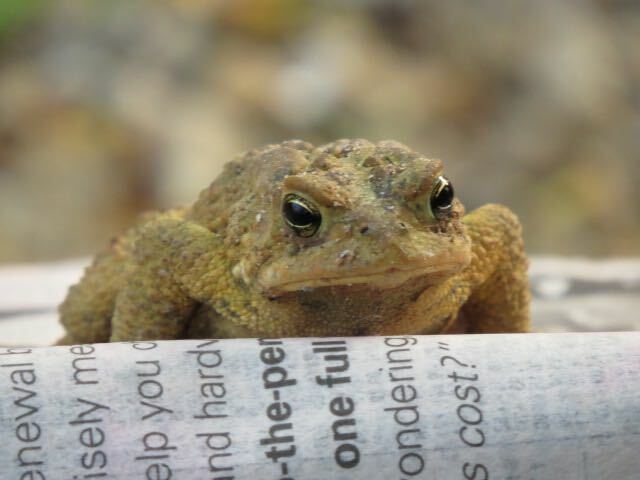 A visitor at my Riverview Park campsite catches up on his reading. Tanks for the memories. 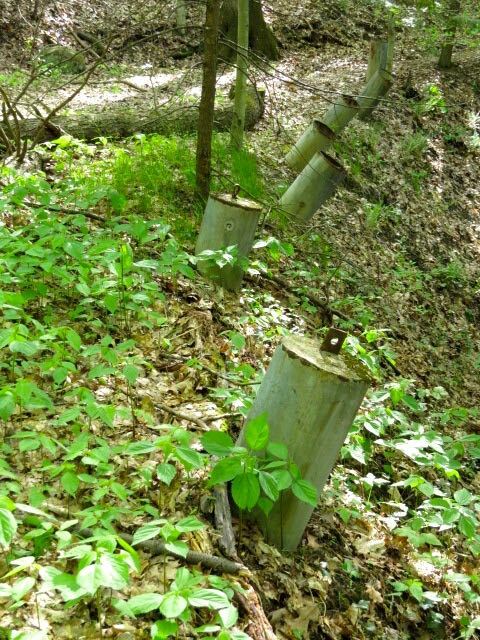 Old hot water heaters “repurposed” as a guardrail at Baker Road Park. 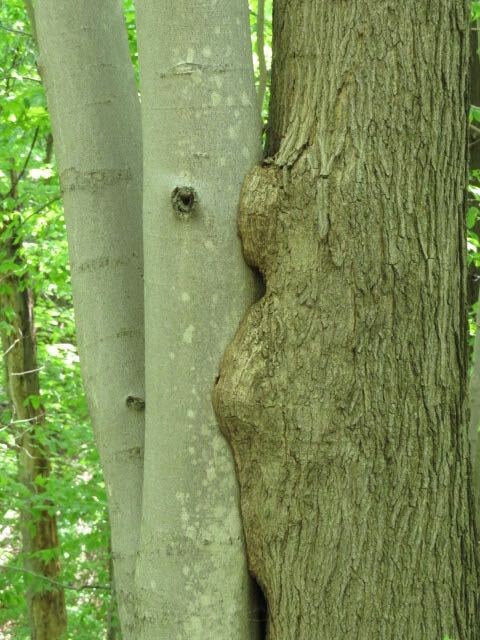 Tree cannibalism! More from Baker Road Park. Not sure what caused this in the bark of a maple tree at Baker Road Park. 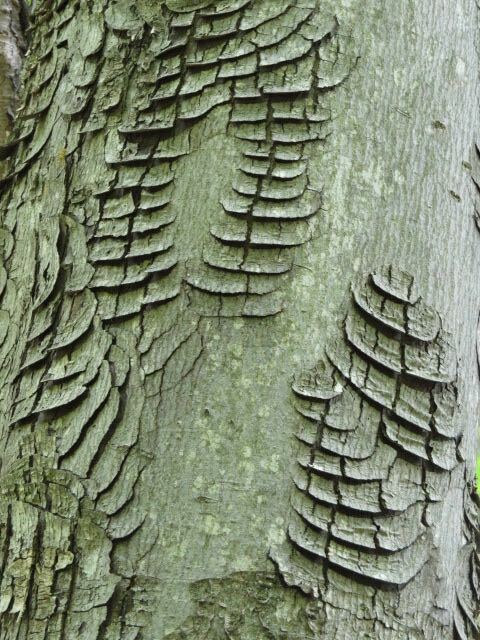 Bite marks from another tree? 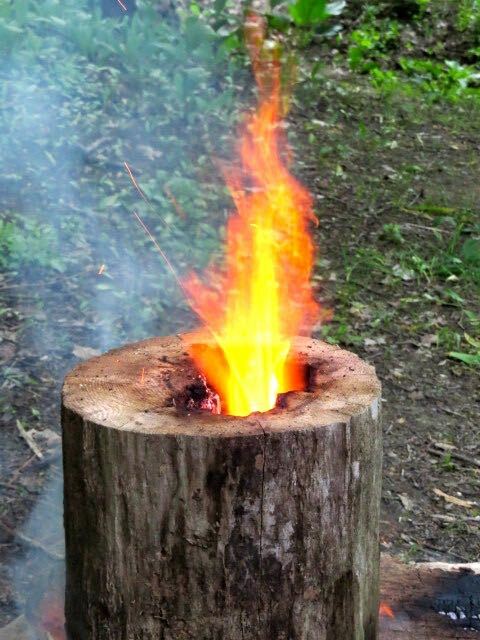 A little pyromania makes for an interesting campfire. 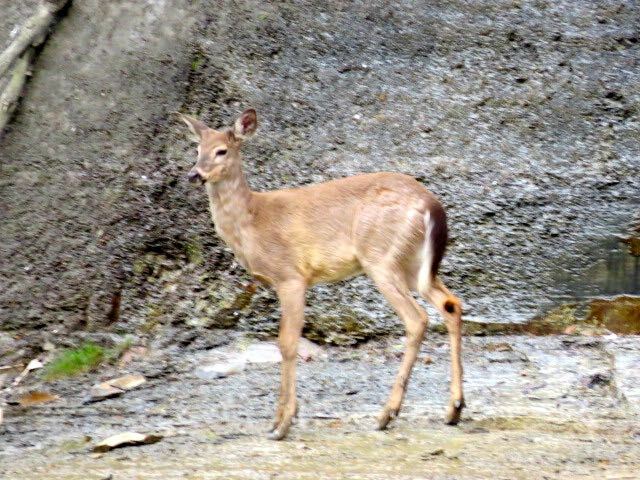 One of two young deer I saw at the base of a bluff downstream from Baker Road Park. 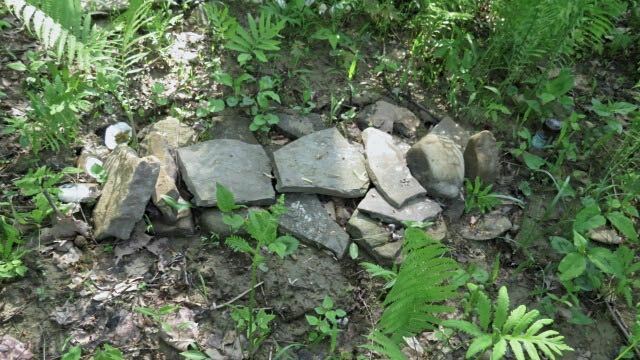 One of two side-by-side graves or shrines I found on an island upstream from Painesville. They were 3-4 feet long. Too short for a human. Most humans, anyway. 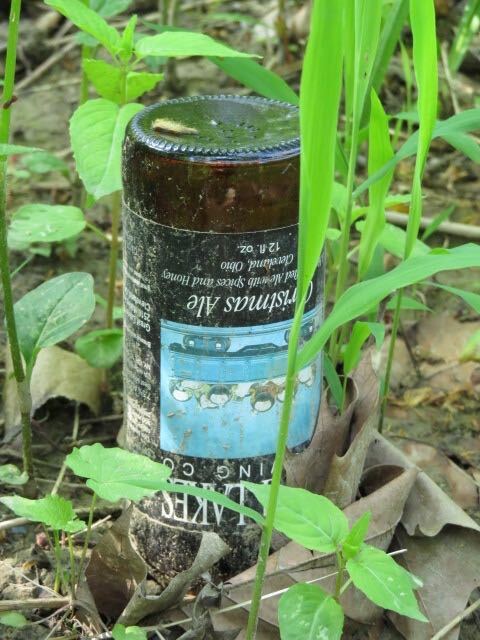 And the beer bottle “headstone” that marked one would indicate it wasn’t made for a dog. 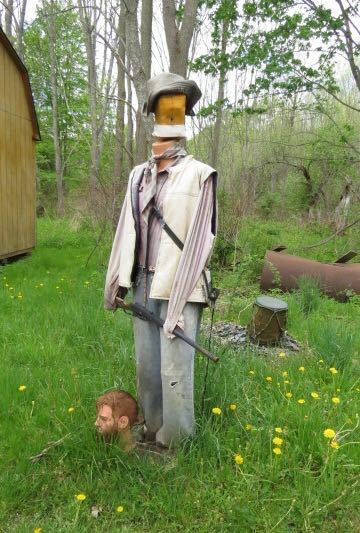 Grave marker or shrine? Whoever it was had good taste in beer. 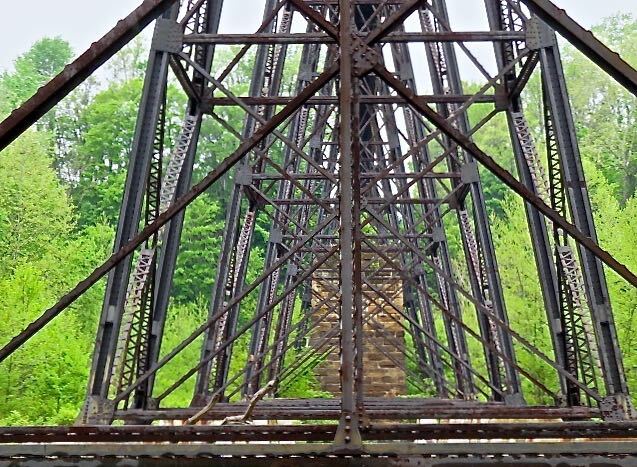 Detail from really cool railroad trestle in Painesville. 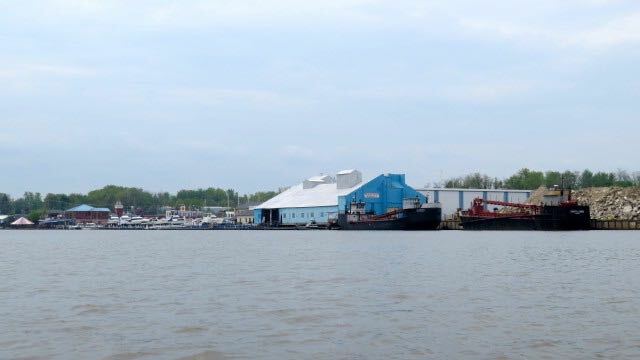 From wilderness to industrial waterway — freighters at Fairport Harbor. 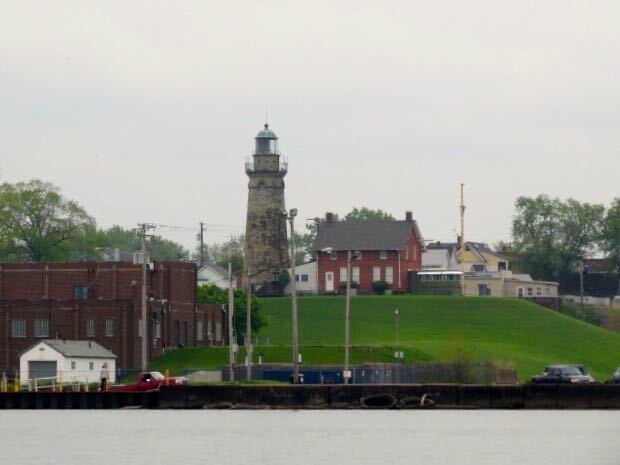 Old lighthouse at Fairport Harbor. My friend Becky tells me this one is privately owned. 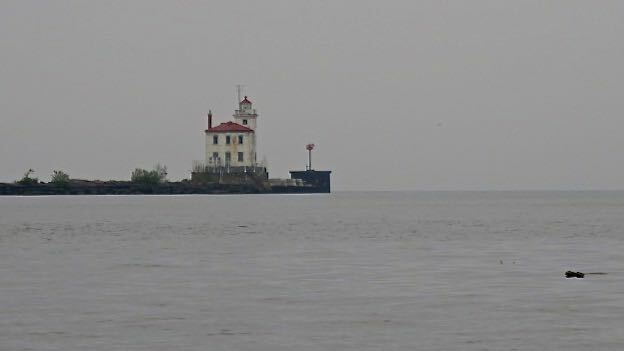 Another old lighthouse inside the harbor. 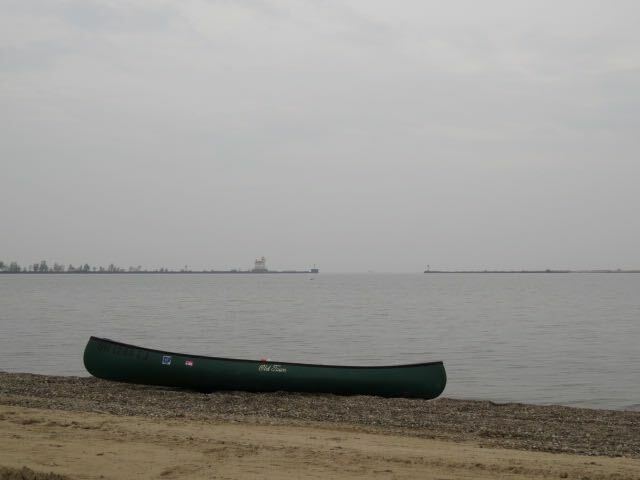 Another bucket list accomplishment — 35 years of canoeing, four trips to the Ohio River, and this is my first river trip that ended with a Lake Erie landing. i love the art at small businesses. most could care less whether we like it or not. which i think is a healthy attitude. maybe why i don’t get invites to reunions. the vandals won’t be able to burn the water heaters.